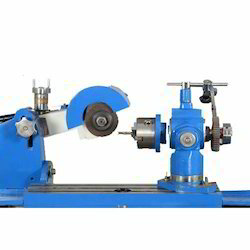 - Dividing Head are carefully designed for tool room as well as for production purpose. Can be used for indirect and differential indexing and all divisions arranged from 2 to 400 including the prime numbers. Head stock can be swivelled through 110 degrees. Worm and Worm Wheel ration is 1:40 accurately generated and securely mounted on the spindle. These are equipped with three indexing plates a set of eleven change gears, centre. Centre Height 150 mm. Travel : 1100 x 350 x 500 mm (Approximately). We are among the reputed organizations, deeply engaged in offering an optimum quality range of Horizontal Dividing Head. 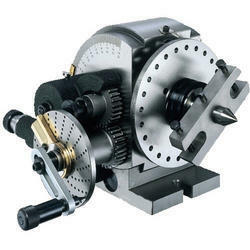 - Index Head / Dividing Head for different size milling machines. We are Manufacturer & Exporter of enlisted amongst the leading names in the industry, offering an exceptional array of Machine Universal Dividing Head (DRUM-200). Our entire product range is compact in sizes and ensures smooth installation. They are functionally updated and are delivered in varied technical configurations.